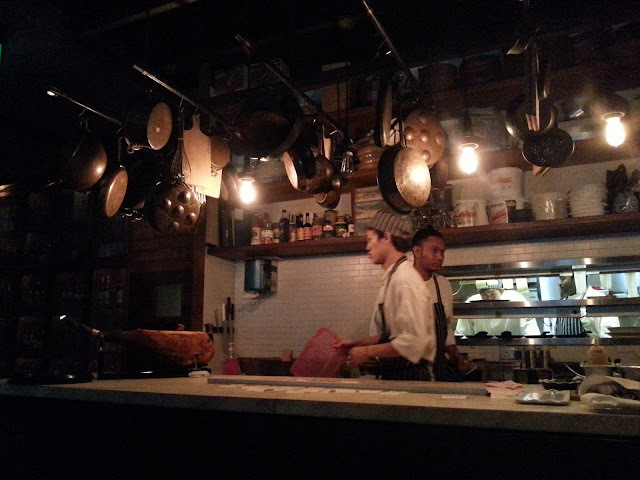 The third of the steakhouse (read expensive) adventure following Wooloomooloo, Orche and Salta. This one only the kid and me went. And we ate up a feast costing $200.00 for the 2 of us. We walked in and was given the drink menu. Which left us wondering? Was it one of those place without menu and we just order the drinks and we will be served with whatever the Chef dream up? Fortunately no. After we ordered our drinks, the very friendly staff came up with menu proper and we proceeded to place our order. We went like.. err we didn't order this. The waiter laughed and politely told us it was complimentary much like the soft bread that most other establishment served. 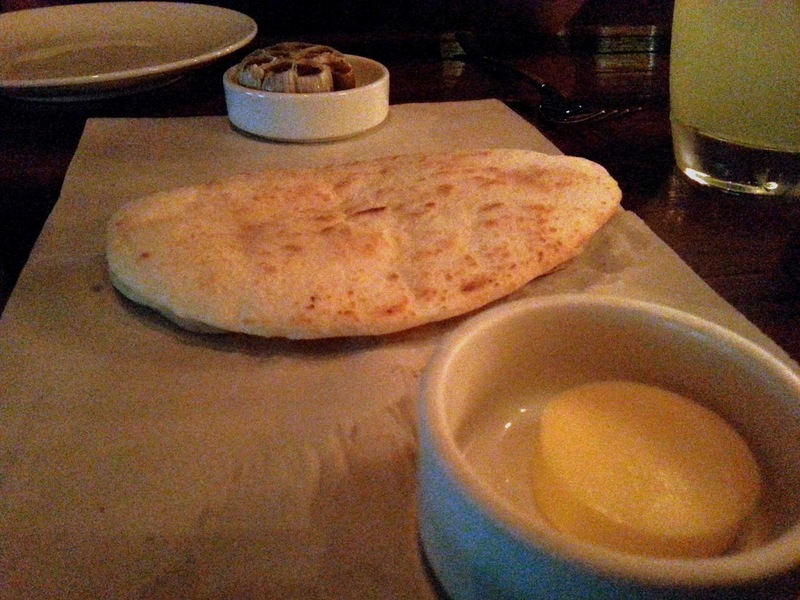 This was flat bread and it was good so good that we went for second and it was all free. It comes with a butter spread and a garlic spread (top of picture) but tasted just great by itself. 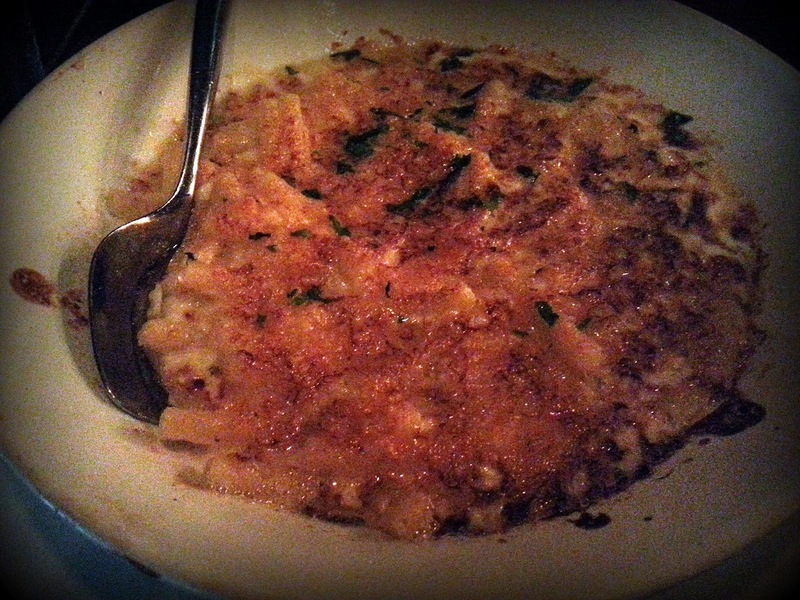 For our side, we ordered a macaroni and cheese recommended by the waiter and it was another great dish. I think the Princess will love this. For a side, the portion was rather big and I think it can serve as the main course itself. 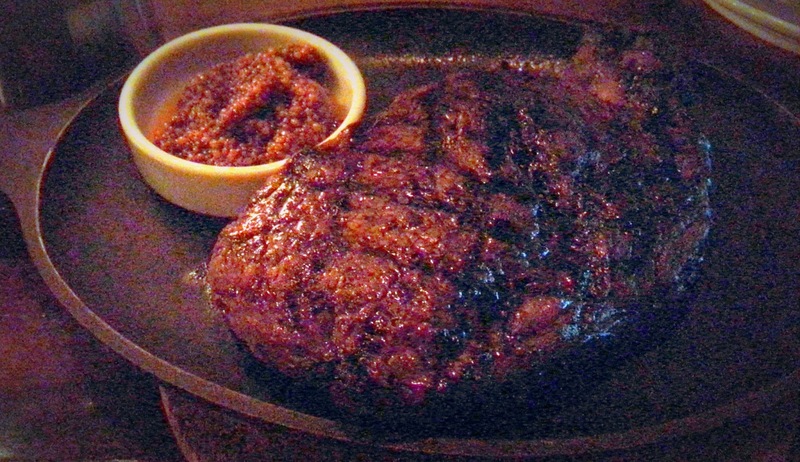 The kid ordered the Ribeye, 400 gm. Can't remember whether it was US or Australian. A tad too big for me. Lucky I didn't order that. For a change, I had the ribs. Portion wasn't big big like those at those ribs specialities so it was just nice. Overall, I love the service there. But it isn't cheap and unless there is very special ocasion, I doubt I will return any time soon but for those who want to try nice steak and without bursting the budget like at Wooloomooloo or Morton, this place will be great.